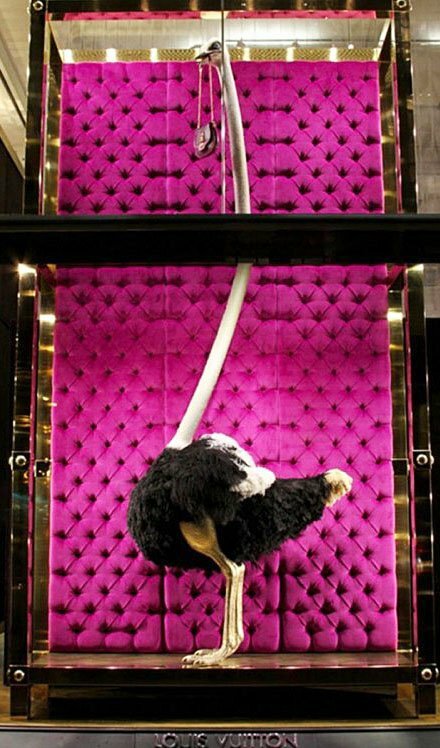 How better to fixture an Ostrich Bag for display than with an Ostrich. Trust Louis Vuitton to conceptualize the idea. You will only find simple, straight-forward Window Dressing here on FixturesCloseUp. What could be simpler than a single bird and single bag? CLICK the thumbnail to see alternate Ostrich Egg merchandising. This image courtesy of the K.U.L.T. 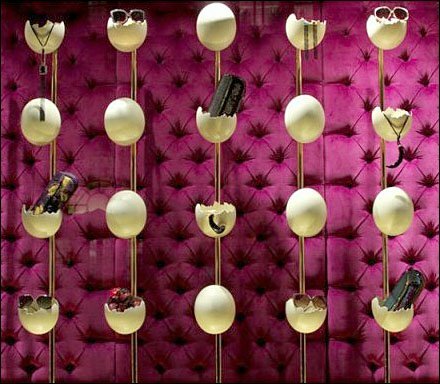 Object Shop-Window Pinterest Board. Surely this is not a real live (or taxidermied) Ostrich. But check here if you are concerned about the species conservation status.